A cheap, effective and 100% natural cleanser for oily skin… sound too good to be true? I was tinkering around on Youtube one day looking at natural hair care videos and I ran across video from a woman that goes by the name of EmpressRi, who is very knowledgeable of hair and skincare products. I have learned a lot through her videos like it is perfectly fine to put oil on your skin. This blog gives you the 411 on the benefits of oils on your skin. Don’t be afraid to do it. I discovered a lot over the years about using oil as a cleanser and much more. Here is another reblog. Be enlightened! Also Visit http://www.youtube.com/user/richeau?feature=watch for more ideas on some of these products that are out there. BTW the reblog and video are unrelated but equally as informative. I never knew why cucumbers were so important for the skin and I wasn’t even looking for it when I found the answer. This blog helped me understand and sharing is key in this community so I decided to reblog. Be enlightened! Cucumber juice is beneficial in improving and maintaining healthy skin, nails and hair. Fresh, organic cucumbers are of course best, but even conventionally grown cucumbers are fine, just remove the waxy skin first. Cucumber juice is rich in potassium, silica, manganese, sulfur, vitamin A, vitamin C, foliate and chlorophyll. This alkaline vegetable strengthens connective tissue, helps to dissolve kidney stones, and is especially useful in cleansing sugar from the body. Cucumber juice has been used to help with acne, arthritis, fluid retention, eczema, high blood pressure, hair loss, and weight loss. Drinking cucumber juice regularly will help keep your skin and body moisturized. So summer has ended and it is time to get rid of all that dead skin on our feet. Sandals, wedges and flip-flops tend to leave a thick layer of dead skin. It is time to let it go. It does nothing for you but I found out that strawberries mixed with a little salt and olive oil can do wonders for that summer crust. When I think of strawberries I am filled with great memories of margaritas, whipped cream, champagne and lemonade but not a foot scrub?? Strawberries are rich in salicylic acid, an ingredient used in some acne medications. Strawberries are also a great conditioner! Who knew? In learning all of this information I discovered a unique strawberry foot scrub. Mix ingredients into a paste, massage well into feet, then rinse, dry and enjoy your smooth and soft feet. Be a Big Girl! Do It Yourself…. In a double boiler, melt the Beeswax completely, followed by the Coffee Butter. Once these ingredients have melted completely, add the Hazelnut Oil and Roasted Coffee Oil, and remove the mixture from heat. Add the Liquid Lecithin, and stir well to combine. Carefully pour the mixture into Lip Balm Tubes (or tins), reserving a small amount of the mixture to top off the tubes after they have cooled slightly. As the Lip Balms cool, the tops will sink slightly, leaving an indentation. Reheat the remaining Lip Balm mixture and carefully refill the tubes, giving them a smooth, even appearance. Allow the Lip Balms to cool completely before capping or moving them. Do you dare to try Snail Mucin on your skin? I thought this was interesting and great enough to reblog. I don’t know if I would put snail anything on my skin BUT if it can repair the damage that has occured over the years I guess it is worth a try. Besides I know more harmful things have appeared in my skin care products. I have been using this stuff for about 5 years now and I use it for almost everything skin related. I use tea tree oil for blemishes, dry and itchy scalp and even on cuts. The oil is extracted from the leaves of the Australian Melaleuca tree and its better known as tea tree oil. It is one of the best cleansers for dirty or oily skin. 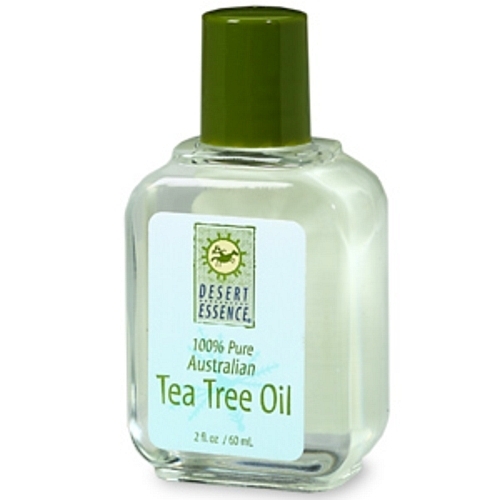 I use 100% Australian tea tree oil from Desertessence.com. A professor who noticed my problem skin told me about it and after using it. I saw results in a matter of days. There are other brands at Whole Foods Market and Trader Joes. The Trader Joes facial cleansing pads with tea tree oil was the most effective for me but it does contain some alcohol in it so it may not be for you. Try other brands; I love the scent from the oil. Once you open the bottle it will fill the room with this refreshing herbal scent BUT the scent isn’t for everyone but it grows on you. It is very strong and if you have sensitive skin you will have to dilute it with water. Try it on a small area of skin to check for sensitivity. The Remedy: Wet a cotton ball or a facial cleansing pad and Apply a couple drops of Tea Tree Oil. Apply lightly to problem skin to help reduce oil that can lead to breakouts. You can rinse it off with water but I usually don’t. It won’t try your skin but you should be using a moisturizer in your daily skin care regimen. We will talk the importance of a moisturizer in a later post. Cons: It’s Strong and can cause irritation. Wet a cotton ball. Apply 1 drop of Tea Tree Oil. Apply lightly to problem skin to help reduce oil that can lead to blemishes. Remove with water. Tea tree won’t cause dryness and flaking like some chemical treatments can. Add a few drops to manicurist spray or cream for cuticle care and welcomed relief for cracked nails. Also known to help ward of fungus. Mix a few drops into your shampoo to break up product build up and oil. Leaves hair squeaky clean. Keep your diaper cleaner clean and fresh with a spray of tea tree oil mixed with water. Add 2 teaspoons of pure oil to a regular load of laundry during the wash cycle. What’s really in this bottle? Ok So I’m a little late with this list that I should have posted from day one. Over the counter products are harmful for several reasons. A friend of mine gave me a list of the 8 most harmful chemicals we find in our OTC products and why they are so harmful. I found a similar list on another blog and I am going to post the list for your information and our common understanding. Keep this list with you. Look at some of the products you have and just be aware. I am not completly chemical free but I know what I am buying and you should too. 1. Propylene Glycol – This is a cheap, synthetic petrochemical used as a emulsifying base in creams and lotions to make the skin look smooth, but ultimately it ages the skin faster. The Material Safety Data Sheet tells you to avoid skin contact with it because it’s a skin irritant! It can denature the skin’s protein, leading to poor, saggy skin. It can be absorbed through your skin and potentially cause allergic reactions, and liver and kidney damage. 2. Sodium Lauryl Sulfate (SLS) – This harsh, caustic detergent is used because it’s cheap and suds well. It’s used as an engine degreaser and garage floor cleaner but you’ll also find it in shampoo, soap, facial cleanser, etc. Research shows that SLS has a degenerative effect on the cell membranes and denatures protein such as in hair or skin. This can damage skin or hair, leading to aged skin and poor hair. SLS can corrode hair follicles and inhibit hair growth, contributing to hair loss. SLS has the potential to cause cataracts (through skin absorption, even without direct eye contact). SLS can denature the protein of the eyes and delay the healing time of the eyes. From skin contact, SLS can be absorbed into your circulation and concentrate in your organs, such as your heart, liver or brain. This is potentially dangerous since SLS is a mutagen, capable of changing the information in the genetic material of your cell and organs. 3. Mineral Oil – This cheap, petroleum-based oil clogs the skin’s pores and enlarges them, leading to poor, saggy skin. It decreases the ability of the skin cells to exchange nutrients and waste products. Those allergic to petroleum products may develop skin irritations. 4. Fragrance – When the word “fragrance” is listed on a label, it means a synthetic fragrance made in a test tube from any of over 200 synthetic chemicals. These “fragrance” chemicals, which can bio-accumulate in your organs, can cause many symptoms, such as headaches, lung problems, skin irritation, dizziness, memory impairment, rash, and more. They are very cheap, toxic imitations of real herbal scents. 5. Parabens (Propyl, Methyl, Butyl, or Ethyl) – These cheap preservatives are used to inhibit microbial growth in skin care or hair products even though they are known to be highly toxic. They have caused many allergic and skin reactions. 6. Imidazolidinyl and Diazolidinyl Urea – These are the most commonly used preservatives after the parabens. They are an established cause of contact dermatitis (American Academy of Dermatology) and release formaldehyde (a toxic chemical). 7. Synthetic Colors – Synthetic colors are used in skin cream or shampoo to make it colorful. Avoid them at all costs, along with hair dyes (with the exception of some henna products). They can cause allergy, skin and nerve problems. Synthetic colors are labeled as FD&C or D&C, followed by a number and color. 8. Triethanolamine (TEA) – Often used in the base of a product and to adjust the pH. TEA causes allergic reactions including eye problems, dryness of hair and skin, and can be toxic if absorbed into the body over time.